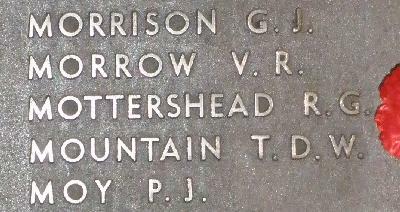 War Grave Register notes: MOTTERSHEAD (served as GRAHAM), Tpr. Ralph, 2195. 1st Australian Light Horse. Killed in action 4th Aug., 1916. Age 34. Son of Joseph and Mary Mottershead. Native of Wangaratta, Victoria, Australia. B. 23.